On the first trading day of the Year of the Pig, the major indices of the Shanghai and Shenzhen stock exchanges showed an upward trend. As of the close, the Shanghai Composite Index closed at 2653.90 points, up 1.36%. The Shenzhen Stock Exchange Index reported 7919.05 points, up 3.06%. The GEM and the SME board index rose sharply by 3.53% and 3.39%, respectively, to close at 1316.10 and 5174.37. In terms of ETF, CSI 300, CSI 500 and CSI 1000 closed up 1.8%, 2.5% and 2.9% respectively. The two cities traded nearly 320 billion yuan, and the volume was significantly higher than the previous trading day. Industry analysts said that if investors are optimistic about future growth opportunities, the CSI 500 Index is a good investment target. First of all, the index covers the largest and most liquid 500 stocks outside the CSI 300 constituent stocks. The constituent stocks are excellent in quality and the stocks are relatively scattered. Secondly, the cyclical industry and growth weights of the constituents of the CSI 500 Index accounted for 51% and 49%, respectively, and the structure was balanced. At present, the average market value of constituent stocks is lower than that of the Shanghai and Shenzhen 300 Index, which is higher than the GEM index, and most of the constituent stocks are in the period of rapid expansion of market capitalization. It is understood that the tracking error of Huaxia CSI 500 ETF in 2018 is only 0.3%, earning a 1.3% excess return. 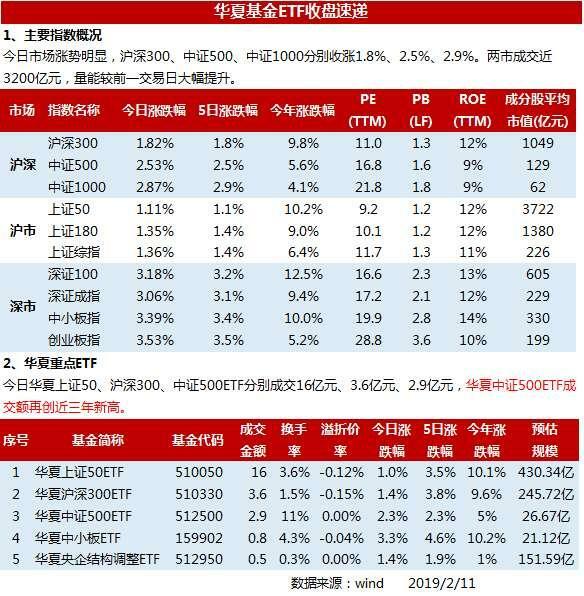 In addition, the China Securities 500 ETF has seven market makers, and the ETF has good liquidity in the secondary market. The data shows that the annual share of Huaxia CSI 500 ETF in 2008 increased by 2.8 times. 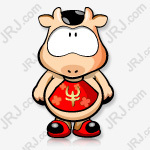 As of February 1, the size of the China Securities 500 ETF exceeded 2.7 billion yuan. Huang Feng, fund manager of Haifutong: Today's rise is mainly due to the repair of the previous valuation, mainly in the industry and stocks with deeper declines last year, which have different degrees of rebound today. On the face of the market, large-cap stocks outperformed small-cap stocks and led by high-quality stocks, which is also in line with the logic of short-term industry boom. Therefore, it is expected that the market will gradually move from a valuation to a narrow range. However, in view of the “commercial reputation” that occurred in the previous years, Huang Feng believed that the impairment of goodwill affected the listed company's profit statement rather than the cash flow statement. In the long run, the future cash flow is the value of the company. In the medium and long term, Huang Feng believes that the overall market environment is still not optimistic, although short-term risks have eased, long-term concerns are still suppressed, out-of-control risks are eliminated, stall risks are still in place, and reform and transformation confidence needs to be improved. From top-down perspective, there are various problems, which are intricately intertwined and difficult to study. Therefore, it is a sound way to strengthen the response and control the investment behavior and strive to do well within the scope of the competence circle. Yang Delong, chief economist of Qianhai Open Source Fund: The enthusiasm of the market has been thoroughly stimulated, and the spring offensive has become more and more fierce. The market outlook is determined to be more and more. Yang Delong believes that the A-share market has already fully released various risks, and even has excessively released the risks. Many high-quality stocks have undoubtedly already possessed the value of medium- and long-term allocation. According to statistics, in January, the capital inflow of A shares reached 66.2 billion yuan, with a net inflow of 60.688 billion yuan. This is a new record for the monthly inflow of Shanghai-Hong Kong Stock Connect since the opening of the Shenzhen-Hong Kong Stock Connect, indicating that foreign investment is still madly entering the market and actively rushing High-quality white horse stocks, and the lowest level of A-share valuation in the world is the main reason for attracting foreign investment!